The lame duck session of Congress is behind us and the new Congress is in session. So what happen at the end of 2010 and what can taxpayers expect going forward? Here's is a brief overview of what the lame duck session did and how you can plan for your future taxes now. It's that time of year again. The wonderful tax filing time for small biz's and this year is the start of some of the many changes that will affect processing of Form 1099's for payments to vendors. 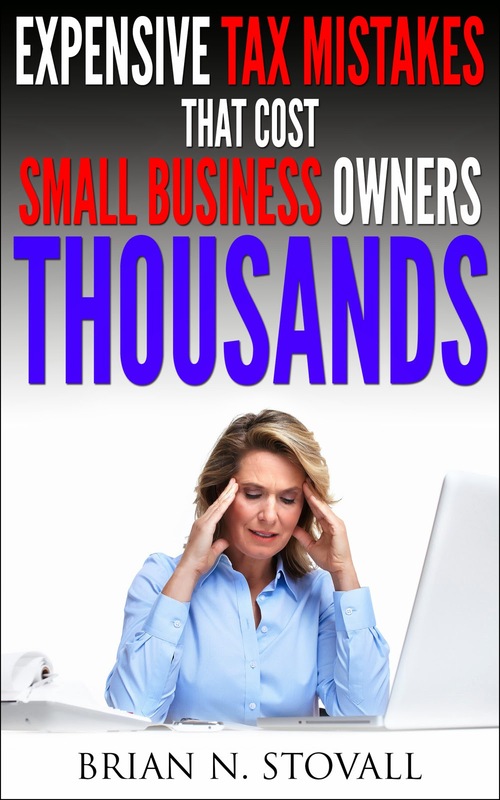 One way for a small biz owner to make the process a bit less stressful is to use small biz accounting software in their business. Here is a quick video on how easy it is to file and complete your Form 1099's using accounting software. 2. Web Portals – You have the contracts all typed up and are ready to deliver them to the client but there is one problem, the roads are icy and you can’t make it to the client’s location. Not a problem if you are using a web portal. Web portals allow you to share documents with virtually anyone anywhere as long as they have access to the internet. The client can login to the secure portal (just like online banking) and access the document, review and send back to you. The contract is in the client’s hands possibly faster than you delivering it. 3. Remote Desktop Sharing – You have been snowed in your home for the past few days and have not been able to make it to your client’s location. The client is having a problem with their software and they need you there to resolve the issue. With a remote desktop sharing, you can access your client’s computer and walk them through the solution to their problem or even resolve the problem yourself. The client is happy that they can continue business as usual and you look like a hero without even leaving your home. These are just a few ways a small business owner can use technology to continue their business operations when dealing with mother-nature. We currently use all of these technologies are more in our firm even when there is not a snow storm. Be sure to research these solutions for your small business so that you can apply them in the future. The IRS is still in a holiday season mode and kicked off this tax season with a gift to taxpayers. No it's not a pass from doing your taxes this year, but it may prove beneficial to many. For most small business owners, the year 2010 was a continuation of hard economic times felt during the past two years. The economic indicators now state that there are signs that the economy is starting to recover, however many small business owners are still waiting to feel the effects of the recovery. In an effort to assist the small business owners, Congress passed and the President signed into law the Tax Relief, Unemployment Insurance Reauthorization and Job Creation Act of 2010 on December 17. The multi-billion dollar tax package includes a great deal of modifications to current tax law affecting small business owners and extends many tax provisions that expired at the end of 2009. The 2010 Tax Relief Act provides businesses with better incentives for investing in property that will help them run their businesses more efficiently. The Act increases the bonus depreciation limit from 50-percent to 100-percent for property purchased during periods September 8, 2010 thru December 31, 2011. The Act also extends 50-percent bonus depreciation on property purchased from December 31, 2011 thru December 31, 2012. Small business owners that have certain long lived property or transportation property may be eligible for 100-percent expensing for property placed in service before January 1, 2013. The depreciation incentives for small business owners do not stop there, in addition to bonus depreciation; Code Sec. 179 Expensing (named after the IRS Code) has been modified. The investment limits were increased under previous legislation and the 2010 Tax Relief Act grants a $125,000 limit and a $500,000 limit on investment for tax years beginning in 2012. Depreciation allows small business owners to expense property purchased against their taxable income. The modifications to the tax law allow small business owners to recover the cost of property used in the businesses fast than traditional depreciation methods. Keep in mind that many of the 2010 Tax Relief Act’s provisions are temporary. It is important to plan early to maximize your tax savings. Be sure to speak with your tax professional to get all the details regarding the tax law changes. Happy New Year! Since today marks the first official back to work day (although technology can help you work anytime) one would think that individuals would come back bright-eyed and bushy-tailed ready to get things done. Well if filing your taxes quickly was on your list of things to do...you may want to push that back a little bit thanks to the recent tax laws passed and the IRS. If you fall into any of the following categories, filing your tax return may be delayed. Listen for details below.